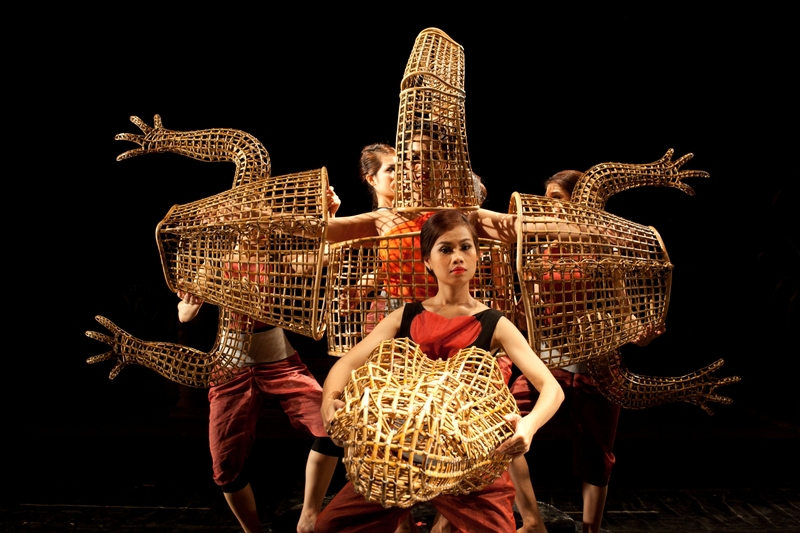 Khmer Arts Ensemble in “A Bend in the River,” by Sophiline Cheam Shapiro. Photo by Khvay Samnang. As part of the Season of Cambodia festival in New York, the Khmer Arts Ensemble performed Sophiline Cheam Shapiro’s “A Bend in the River” at the Joyce. Shapiro’s dance-drama draws upon the traditions of Cambodian Classical Dance—elegant shapes, refined hand gestures, codified positions—and combines them with a story drawn from folklore and an original score that extends the range of the pin peat orchestra. Like Prokofiev’s Peter and the Wolf, it is a story told on many levels: through narration, music, and movement. You can read my review for DanceTabs here.